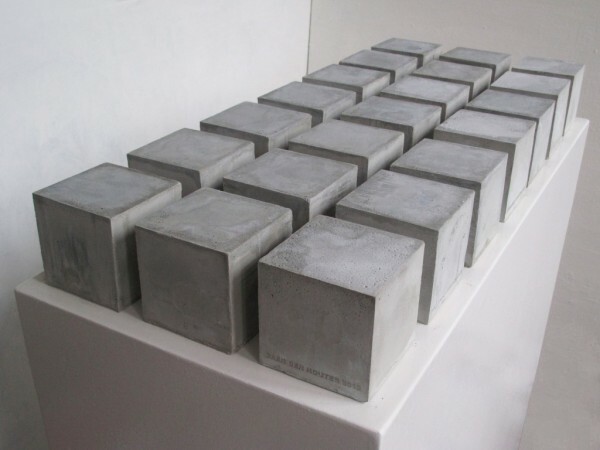 A series of 21 concrete blocks with dimensions of 11cm x 11cm x 11cm. Each block includes the name of the artist and the year 2013 on one side. On the other side is the unique block number. In one of the 21 blocks are packed in a plastic egg, 2 notes of € 500. 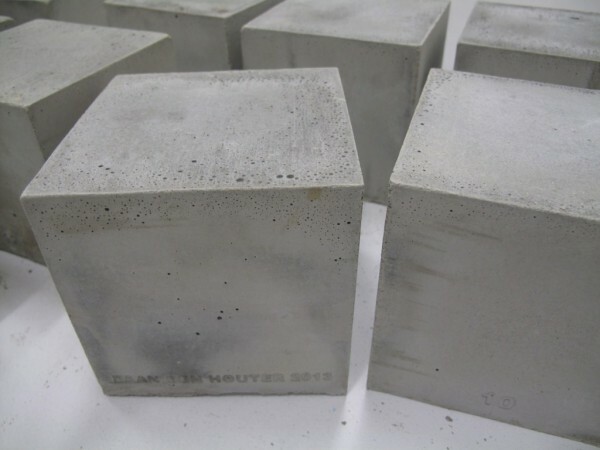 For € 125 one could purchase one of these blocks, but protected by the copyright of the artist, and the collective purchase of a dream, one can’t destroy the blocks without risking legal prosecution by the artist or one of the other owners.